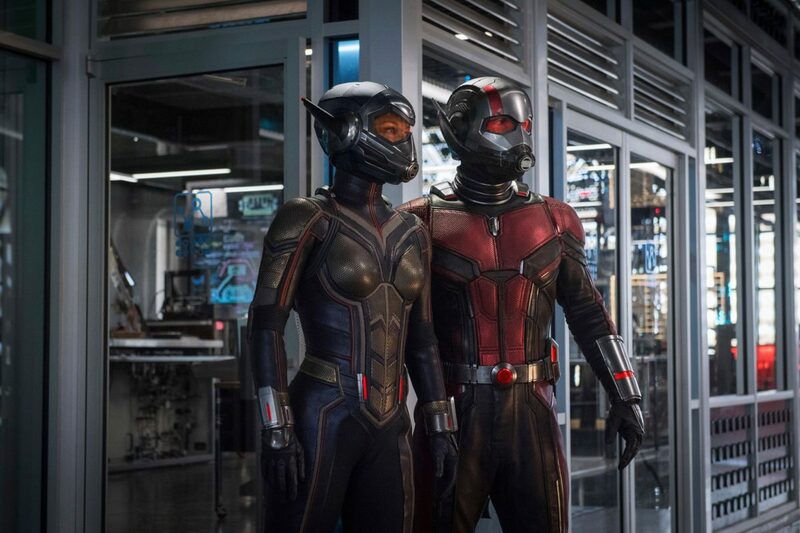 Size-shifting antics and side-splitting laughter abound in Marvel Studios’ new comedy action film Ant-Man and the Wasp. 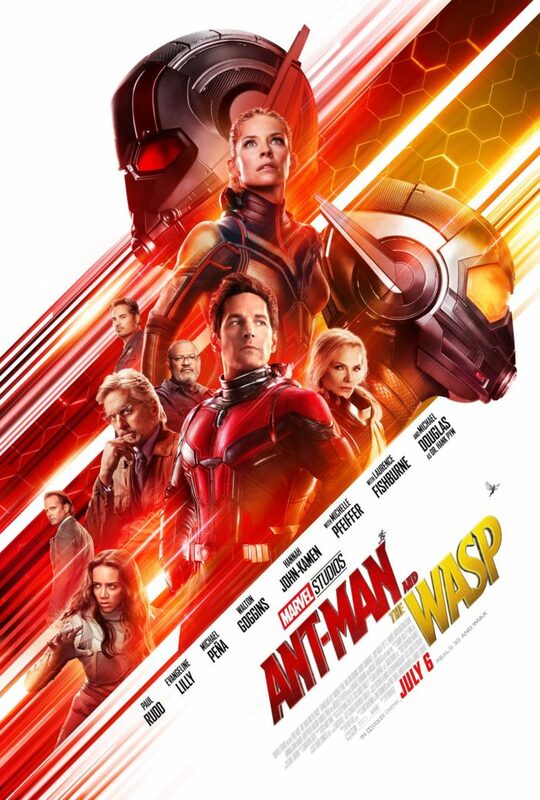 A sequel to 2015’s fun and funny Ant-Man, this new film picks up after the super hero showdown in 2016’s Captain America: Civil War where we last saw Scott Lang/Ant-Man (again played by Paul Rudd). Lang, who is now on house arrest after his Civil War stint using the height-altering Ant-Man suit, reunites with Dr. Hank Pym (Michael Douglas) and his daughter Hope Van Dyne (Evangeline Lilly) after certain events lead them to believe that Pym’s wife and Hope’s mother Janet Van Dyne (Michelle Pfeiffer) is still alive somewhere in the sub-atomic “Quantum Realm” where she’s been missing for decades. Pym works on a new way to get into the Quantum Realm and, as teased at the end of the first Ant-Man film, creates an updated super suit for Hope (with wings! ), making her The Wasp just like her mother was all those years ago. It turns out that other people (shockingly) are also interested in the tech that Hank Pym, Hope, and Scott are working on. Pym’s former S.H.I.E.L.D. colleague Dr. Bill Foster (Laurence Fishburn) and a spooky personage known as “Ghost” (Hannah John-Kamen) have some mysterious and questionable motives. Also to the disadvantage of our heroes is an overzealous Federal agent (Randall Park) who is determined to bust Scott Lang at violating his house arrest. The film is like candy–really fun to watch and easy to digest, even if it perhaps lacks much substance. The cast, most of which were in the original film, are back along for the ride and are all great, particularly scene stealers Michael Peña as Lang’s ex-con buddy Luis and Abby Ryder Fortson as Lang’s adorable daughter Cassie. The special effects are also silly fun as buildings, people, and different objects galore–everything from cars to buildings to a PEZ dispenser–change size to accommodate the needs of our heroes. Peyton Reed is back in the director’s seat and he does another terrific job with this sequel. And even though we’d still all love to see Edgar Wright’s version of Ant-Man (Wright left the first film after creative differences with the Marvel Studios team), Reed delivers a film that is again so quick, clever, and wacky, that I think it holds up on its own (and Reed’s own) merits. It goes without saying, but make sure to stay through the end credits, too. And as an added bonus, here’s the original one-sheet poster which I think is swell as well.